THE mother of the 17-year-old boy picked up on suspicion of being the killer of Christine Lee Silawan is adamant that her son is innocent. She said the authorities behind her son’s arrest are in a hurry to claim the P2-million bounty and are resorting to making up evidence against him. 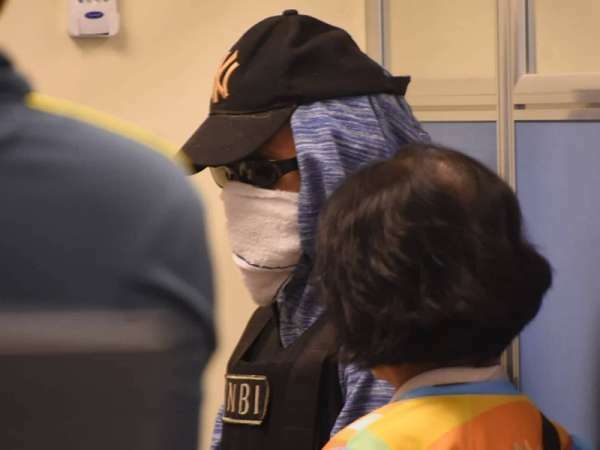 But the National Bureau of Investigation (NBI) said the evidence gathered so far indicates a case against John (not his real name), Silawan’s former boyfriend. NBI Assistant Regional Director Dominador Cimafranca said they picked “a clothing of interest” and the mobile phone from the boy. Silawan’s mutilated body was found in a vacant lot in Barangay Bankal, Lapu-Lapu City on March 11. Her face had been flayed. The ex-boyfriend’s mother, in an interview with Superbalita Cebu, said the NBI and supposed witnesses are colluding with each other so they can share the bounty among themselves. Footage from a closed circuit TV camera (CCTV) showed a thin-framed couple with their back to the camera. This couple was supposedly Silawan and her boyfriend. How could the authorities know that it was they when only the backs were shown? The boy’s mother asked. The mother said her son is a “babaero” who can’t stay in a relationship for long. He and Silawan had long broken up, she said. In the morning of March 10, the day before Silawan was found dead, her son was fixing the roof of their house, she said. In the afternoon, he played basketball. At 6 p.m., he went home, watched TV, had supper and then went to sleep. The mother said that if indeed it was her son who had murdered Silawan, he wouldn’t have been able to go to school the next day (March 11) because he would be “tulala” or in shock. She said this wasn’t the first time her son had been picked up by authorities. On March 12, the day after Silawan’s body was found, police picked him up while he was playing basketball in the neighborhood. She didn’t know where he was brought, but he returned home and told her what happened. On March 13, this time NBI agents picked him up and needled him for information. Her son has been turned over for custody in a government facility. She saw him at 6 p.m. on Monday, March 18. The NBI’s Cimafranca said the evidence his men have gathered so far tend to show they have solid evidence against the ex-boyfriend. “We have recovered some clothing of interest, iyang kalo (his cap),” Cimafranca said. The cap has traces of blood; a blood sample will be sent for DNA testing, he said. Also, the ex-boyfriend’s phone screen bears a crack, which may have resulted from a fight. Cimafranca said it is likely that a chase or a running pursuit occurred. The place where Silawan’s body was found is known to be a dating place for lovers. An NBI forensic team is expected to arrive today to help in the investigation. Cebu Archbishop Jose Palma is saddened to learn of Silawan’s gruesome death, but he said the killer needs to be forgiven but he should also be punished for what he has done. “Forgiveness is always part of the Christian disposition. It doesn’t mean that in forgiveness, we do not punish the guilty. Punishment is also part of life and of society,” he said. A friend of Silawan’s ex-boyfriend said he played basketball with the ex-boyfriend on the night Silawan was killed. They were together until 7 p.m. when they parted ways after the game. A balut vendor corroborated the friend’s statement. The vendor said he saw the two teenagers play basketball and then buy balut from him. A brother of John said while he did not know Silawan, John told him about her and that they were in a relationship only for five days in June 2018 because John found someone else. John is still in Grade 7 because a lung problem hinders him from attending classes and from completing a school calendar, his brother said. Officials of the school where John was said to have enrolled for school year 2018-2019 neither confirmed nor denied that John was an enrollee. The Lapu-Lapu City Government is not releasing the P1-million bounty despite John’s arrest, according to Mayor Paz Radaza. She said the ex-boyfriend is not the only culprit. There are others who must also be arrested. Radaza said the reward money might be given to the authorities or the informants who helped the investigators. The City Council has yet to pass a resolution calling for the release of the reward.